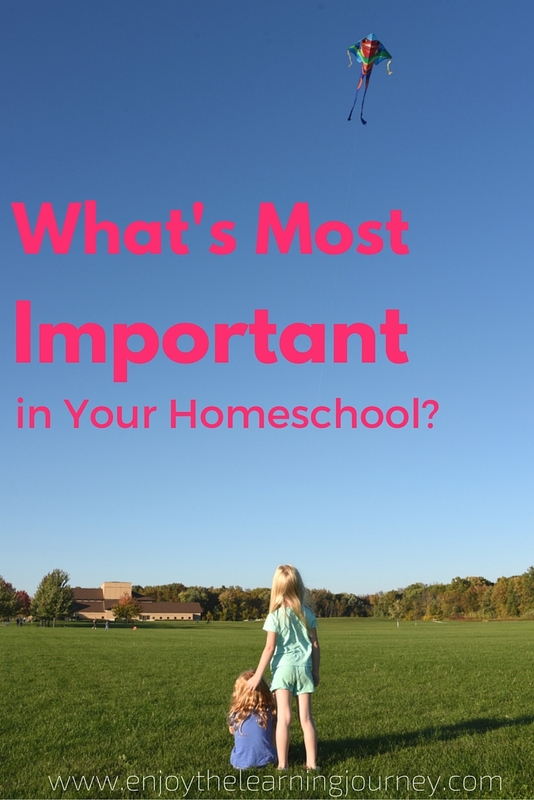 What’s Most Important in Your Homeschool? 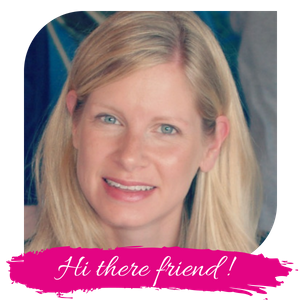 Have you ever met a previous homeschooler whose eyes lit up when they found out you homeschool? A couple of years ago I was talking to a woman who knew my girls from Sunday school and as we were chatting I said something which made her realize we homeschool. As soon as she made the connection her face completely lit up and a huge smile came across her face. Things can change unexpectedly at any time. It’s critical to focus on what’s most important on this journey. This is our fourth year homeschooling and each year there are many days where I think that this will be our last year homeschooling. Sometimes it’s because I feel tired out, sometimes it’s because I’m frustrated, and sometimes it’s because I think the kids would be better off in school. Most days I love what we are doing, and the kids do too, but there’s plenty of doubt mixed in there too. We went into homeschooling unexpectedly and we’ve never determined a specific length of time that we’ll homeschool. We are making our decision year by year and child by child. This has it’s benefits as we consider each child’s needs and our families needs each year. But it also keeps the door open for a lot of uncertainty as I often think “will this be our last year?” As a person who likes to have things fairly well planned out, this can be a bit maddening at times. But getting too comfortable in a situation can dull the experience and lead to bad habits anyways, so at least it keeps me on my toes! Each year, or several times a year, I write a list of what’s most important in our homeschool. The act of sitting and thinking about it and then reading back through the list reminds me of the critical. It reminds me to focus on the activities that invigorate us and bring us joy. And then as I have more focus, purpose, and excitement for what we are doing, life is breathed back into our homeschool so we can fully enjoy this journey we are on! Recently, after a challenging day, I went through this exercise and here is the list I created. It’s more of a free-form brainstorming list and overwhelming at first but I was able to go back and pinpoint some main themes. What do I want to do together with the children? What’s most important? Get moving ~ be active! Certainly this is a big list and does not identify one thing that is most important but if you look closely you will see some main themes have formed. Themes such as: reading together, enjoying the arts, playing and exploring, going on field trips, building relationships, and, of course, growing closer to Jesus. As I considered this, I found it a great time to also look back at our reasons for homeschooling in the first place. Why are we doing what we do? It’s so important for us to raise children who will become independent, responsible, God-loving, caring adults. Academics are, of course, important but our children’s character and relationship with Jesus is critical. I cannot form that relationship for them but I can show them the path and guide them. We can spend time on things that are eternally important and things that bring us joy. In our home we are working on math facts and spelling and geography and computer skills and our girls are learning to read, but I want to make sure we aren’t getting bogged down in all of the academic to-do’s and missing the opportunity to grow in our relationships and have fun learning. If you are feeling discouraged here are some questions you can ask yourself. Even if you are nearly certain you will continue homeschooling this can be a good exercise. What if this were our last year homeschooling? What’s most important? What do I want my children to learn? What do I want to experience with my children? What do I want my children to remember most about homeschooling? How do I want them to feel about their homeschool experience? What activities bring me joy? What activities bring them joy? What is most important right now? I encourage you to take a few minutes and jot down your answers and really consider what you wrote. Are you doing these things already? Do any changes need to be made? Do any activities need to be removed from your schedule? How about anything added? Work through this process and be honest with yourself. With no guarantees, we can only work with what we know right now. And as we spend our time and energy on the things we know are most important we will experience more peace and more joy in our homeschool and in our lives. What is most important to you in your homeschool? What do you want your children to remember? Such a great reflection! As I read this, it’s clear to me that this is your love and passion. You are the best teacher your children could ever have. Homeschooling has been such a wonderful gift for you and the kiddos. Oh, that is a great question to ask ourselves. Thanks so much! This is our 13th year homeschooling and my husband and I are committed to homeschool our boys all of the way through (unless God allows something to happen which makes it impossible to continue.) However, it’s still good to engage in this kind of reflection so that each year can be as good as it possibly can be. I also try to continually ask God to tell me what He wants me to teach my boys. So important!